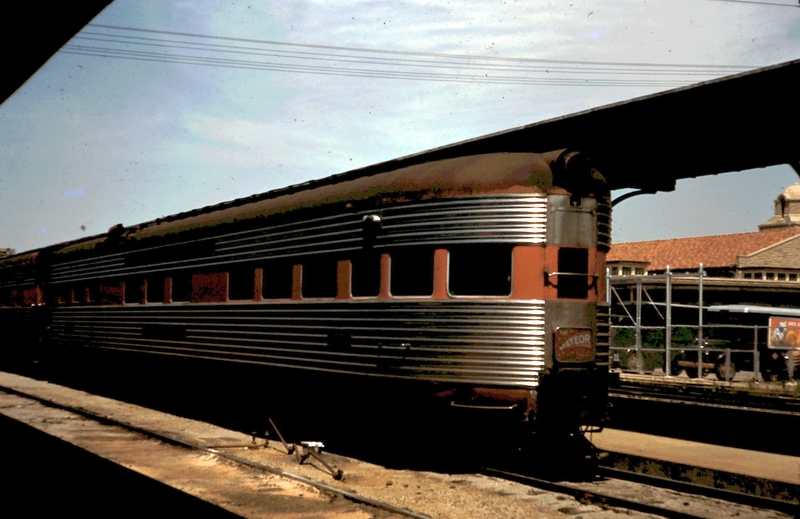 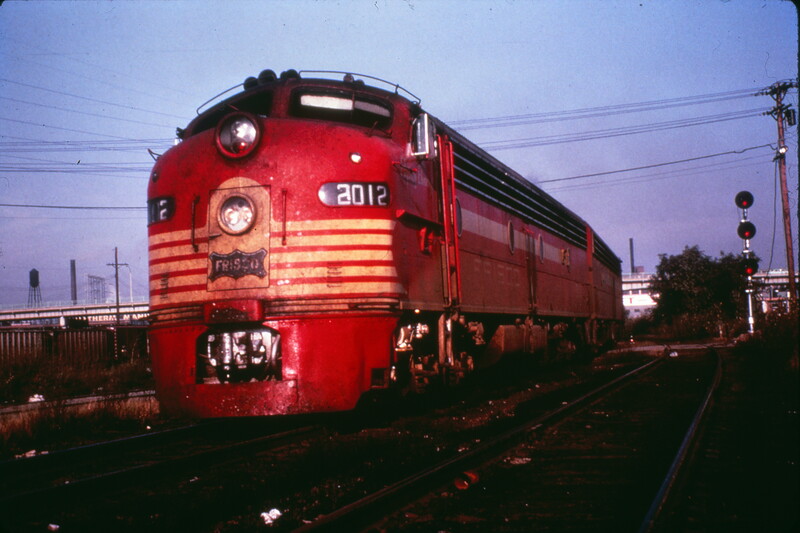 Meteor Lounge Car at Birmingham, Alabama (date unknown). 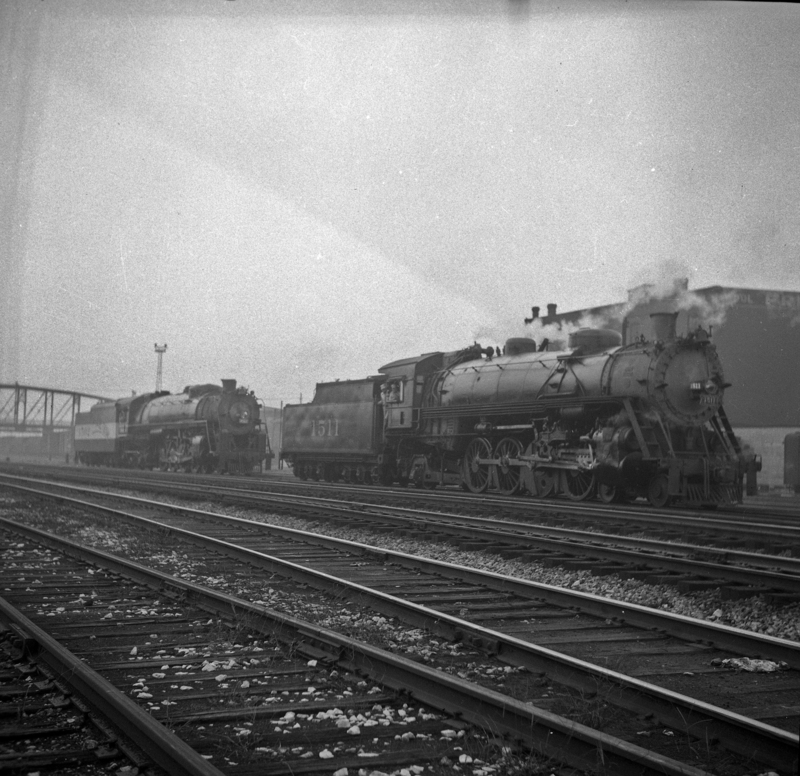 4-8-4 4500 at St. Louis, Missouri in November 1944 (Arthur B. Johnson). 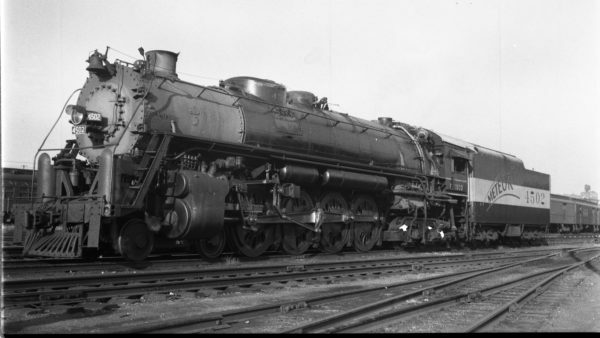 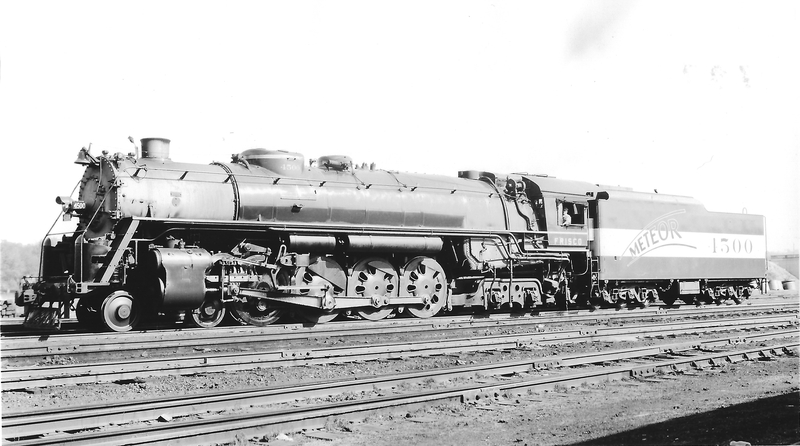 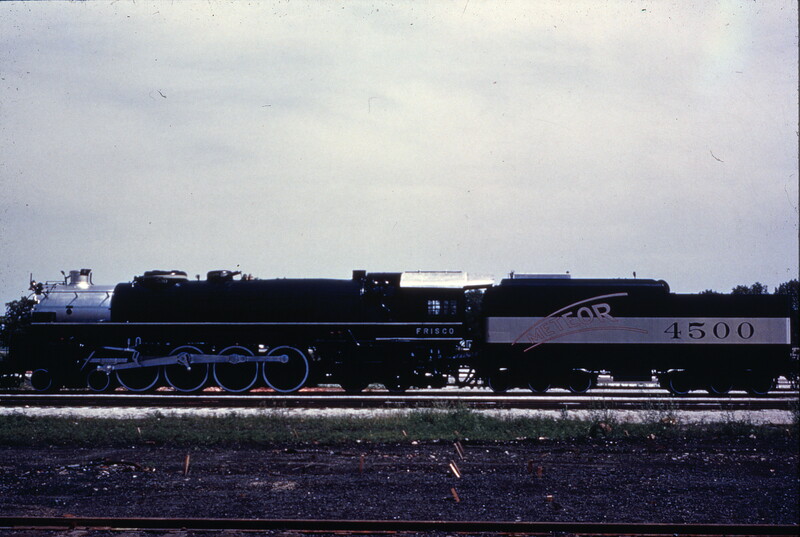 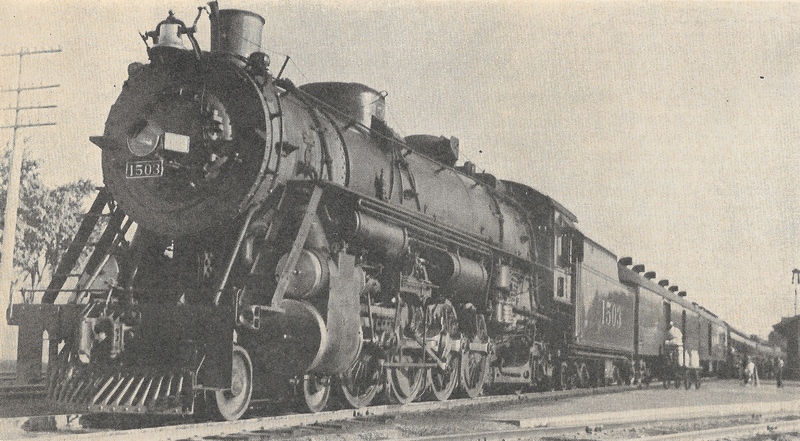 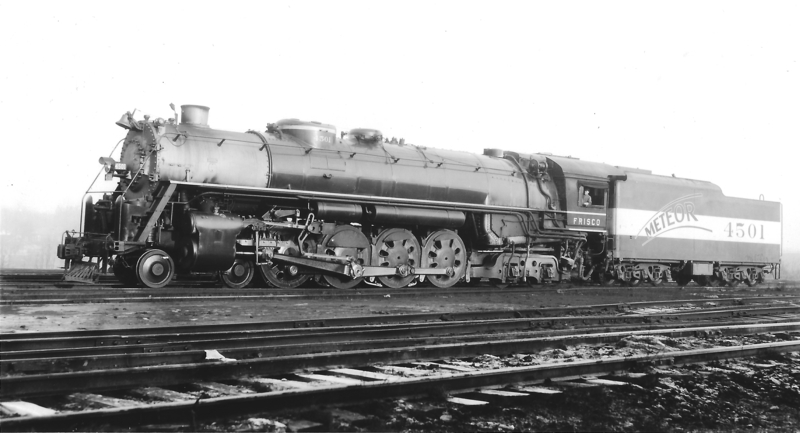 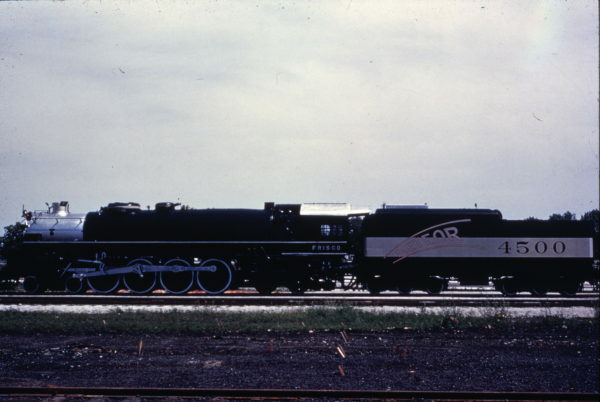 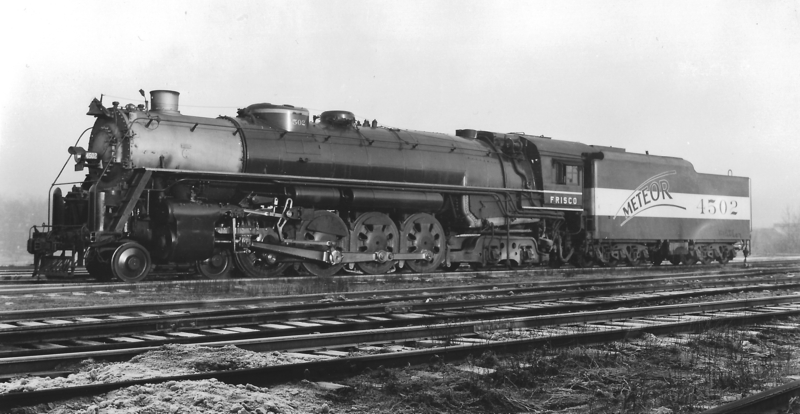 4-8-2 1503 on Train 25, The Meteor, at Chandler, Oklahoma (date unknown) (S.R. Wood). 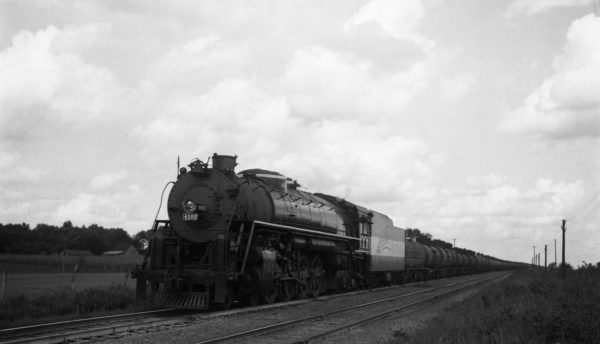 4-8-4 4500 at Nichols, Missouri with the second section of Train #33 (76 cars) on September 3, 1944 (Collins-Louis A. Marre). 4-8-4 4502 at St. Louis, Missouri on August 31, 1947 (Louis A. Marre). 4-8-4 4502 at St. Louis, Missouri in December 1944 (Arthur B. Johnson).